Learn to successfully use the VarioUltra with the help of the friendly, straight-forward guidance offered in this step-by-step, six lesson audio program. 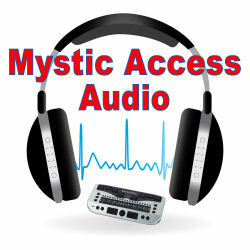 Learn to get the most out of your VarioUltra with this comprehensive six-lesson audio program from Mystic Access! 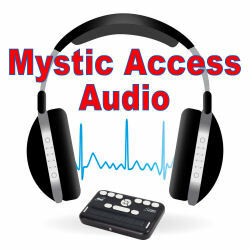 This product was created from a series of teleseminars that were conducted by Lisa Salinger of Mystic access in February and March of 2017. The calls were recorded via our teleconferencing line and were then edited for clarity, and to reduce silences, phone artifacts and other background sounds. This series of calls was actually held at two different times with different students in each time slot, so this product is the very best of the material from all of the calls that were held. If you have a VarioUltra, or you are thinking of purchasing one, you will likely find this audio program to be a valuable resource. However, it will be especially helpful to those who already have a VarioUltra, either 20 or 40 cells. The program is broken into six primary lessons and two supplementary lessons to make exploring the material as intuitive as possible. The program is available in DAISY and MP3 formats, both of which you’ll have immediate access to download after purchasing. Why might I want to purchase this audio program? The VarioUltra functions as both a notetaker and a braille display. Each task seems to have multiple ways to get it done, and remembering all possible combinations presents its own challenges. Lisa Salinger has been using VarioUltra for over a year, and Braille notetakers in general and other related technology for over twenty-five years. Her patient, thorough style will help you understand important concepts, and learn how to commit relevant facts to memory. You will also gain insight from the questions, comments and frustrations shared by the class participants. Please find below a summary of the lessons and topics that are covered therein. Lesson 1: So Many Buttons! If you’ve noticed that the number of keys and buttons on the unit outnumber your fingers, take heart. We’ll take a look at the various groupings of buttons, and give you the foundational overview you need to make the next few lessons a breeze. Lesson 2: Where am I? Finding your way around. There are many strategies you can use to navigate the options, menus, and settings on your VarioUltra. We’ll show you how to incorporate all this knowledge and determine what navigation styles work best for you. We’ll also take a look at the file manager, which is used to copy, rename, and delete files, among other tasks. Speaking of moving files, you will also receive a supplementary lesson that walks you through the process of moving files in complete detail. Lesson 3: All about settings, or Eat Your Vegetables! Before we get into fun and practical aspects of using the VarioUltra in daily life, we need to talk about doing the dirty work of customizing the settings to have everything working in the way that’s most intuitive and useful to you. Think of it as putting some cheese sauce on that broccoli. In other words, we’ll do our best to make this necessary material as fun and useful as possible so that using your VU is enjoyable and even easy. Lesson 4: Reading, Writing, and Rithmetic. We’ll take a more in-depth look at the programs on the unit, with special attention to the word processor and calculator. Lesson 5: Let’s Get Connected! One of the wonderful things about the VarioUltra is that you can connect it to multiple devices. We’ll discuss the pleasures and pitfalls of doing this. Whether you want to connect to your iOS or Android, your Windows or Mac, there will be useful information to help you get and stay connected. Lesson 6: We Need More Time — and Wrapping Up. This lesson focuses on the built-in timer, stop watch and alarms, as well as a few miscellaneous reminders and valuable questions from class participants that you may find yourself asking, too. Your second supplementary lesson walks you step by step through the process of updating the VarioUltra from one version to another. Have you always found this process intimidating and / or overwhelming? Follow along with Lisa in real timewith this valuable mini lesson. Each primary lesson in the program runs between 44-51 minutes. The entire program is just under five hours and fifteen minutes in length. Gain the skills and confidence to use your VarioUltra proficiently, and discover the fun of using the many features and functions available. Your investment for this VarioUltra audio program is $49. If you have any questions or concerns prior to making your purchase, please contact us, and we’ll do our best to answer. Thank you for your interest.